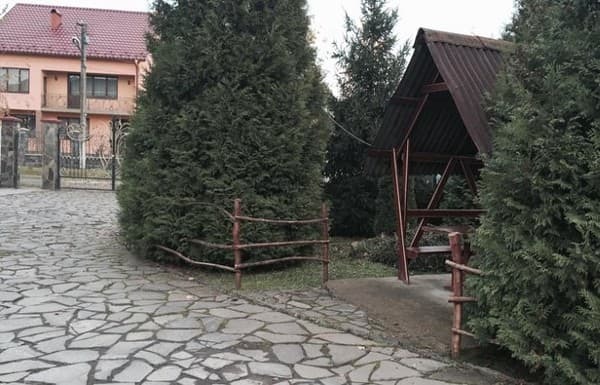 The hotel complex "Zoloti Vorota" is located in the village of Lalovo (6 km from Mukacheve along the central road in the direction of Istria). 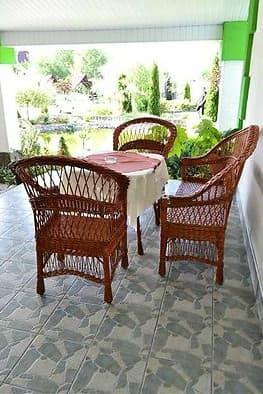 The hotel offers 8 comfortable rooms with a modern interior, with windows offering an unforgettable view of the Carpathian Mountains. 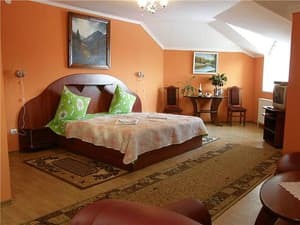 Description of the room: A spacious one-room "Standard" is designed for two people. The room has a double bed, bedside tables, a spacious wardrobe, a dining table with chairs. 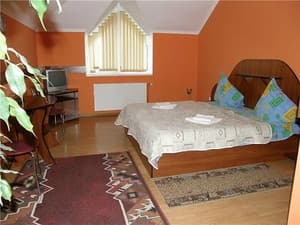 Description of the room: A spacious one-room "Standard" is designed for accommodation of three people. The room has one single bed and a large double bed, bedside tables, a spacious wardrobe, a dining table with chairs. 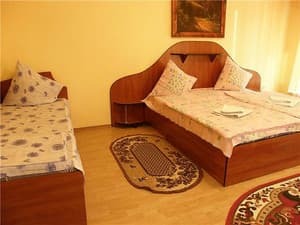 Description of the room: One-room suite for two people, equipped with a double bed, bedside tables, spacious wardrobe, upholstered furniture. Треба було переночувати перед поїздкою в Угорщину. На одну ніч нормально. Просторі номери, можливість харчуватися в ресторані готелю (хоча лише після 10 ранку, до 10 - "власниця може щось приготувати, якщо замовити"). Без проблем дали фен, коли звернулися з проханням (від початку в номері був відсутній). Гаряча вода без перебоїв. Вентилятор в номері. Привітний персонал. Children under 3 years of age without extra beds are accommodated free of charge. Placement on an additional place is not provided. 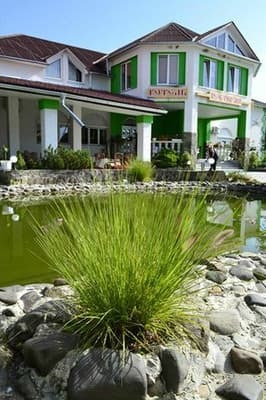 On the territory of the hotel there is a cozy restaurant and two banquet halls for 60 and 200 persons. 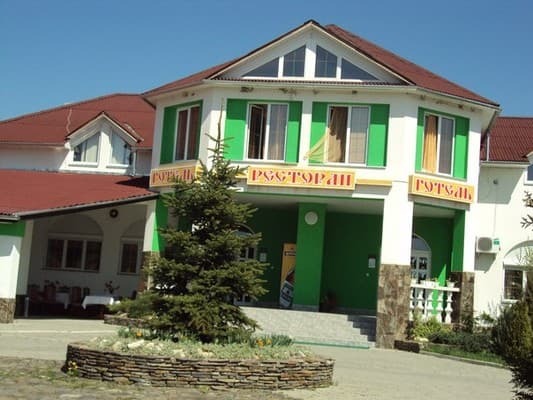 The menu of the restaurant is Ukrainian cuisine with elements of regional Carpathian and European cuisine. 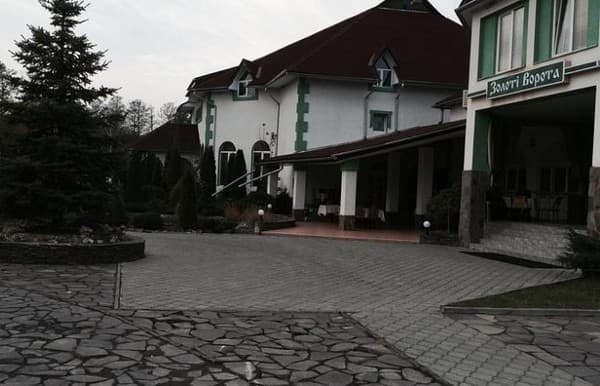 The hotel is located in the village of Lalovo (6 km from Mukacheve). Near the river there is the river Latoritsa. 12 km from the hotel is the famous Palanok Castle. Every 20 minutes from Mukachevo go taxi. You can also book a transfer for a fee.